If you brought the whole family with you to San Diego, they’ll need a fun way to spend the day while you’re busy networking and honing your skills at our CME seminars. Make sure they check out some of these great San Diego theme parks and attractions for a memorable trip! Belmont Park is a must for any family. You can eat at oceanfront restaurants, throw on your swimsuit and ride on one of their wave machines, do a little shopping, or enjoy one of their many amusement park rides. You’ll find a full arcade, roller coasters, laser tag, mini golf, rock climbing and more. Admission and parking are free so you can save your money for all the great attractions Belmont has to offer! The San Diego Zoo is one of the city’s most recognizable attractions. It was founded just shy of 100 years ago and is home to over 4,000 rare and endangered animals. In fact, the San Diego Zoo was one of the first to pioneer the idea of open-air, cageless exhibits that more naturally mimic an animal’s habitat. The zoo is heavily focused on wildlife conservancy and social responsibility and has played a part in reintroducing more than 30 endangered species back into the wild. The zoo is also famous for the birth of several giant pandas. 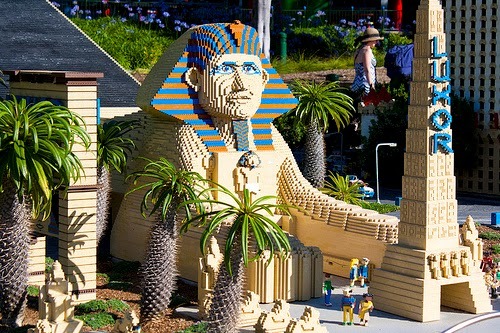 While not within the city limits of San Diego, Legoland California is just a quick drive up I-5 south of Carlsbad and it’s not a spot to be missed. The park boasts plenty of LEGO-themed rides like a water park and Star Wars Miniland for fun and adventure. You’ll find plenty of shops and interactive areas so your kids can build their own creations and take them home. The park also includes an aquarium and dining! If you want to visit an aquarium without having to fight the crowds, check out Birch Aquarium. San Diego public transit can get you to the aquarium and back as it is a bit north of the city itself. At the aquarium, your children can enjoy touch pools, views of the ocean, and many small to medium-sized displays. It’s the perfect way to experience the wonders of the ocean in a more intimate setting. If you have older children that wouldn’t be interested in theme parks (or if you’re traveling alone) consider visiting the San Diego Museum of Art. The museum features elaborate Spanish décor and architecture with a collection of art that spans the globe and dates back several thousand years. While the design and layout is heavily influenced by Spanish history, you’ll find art from all regions of the world! 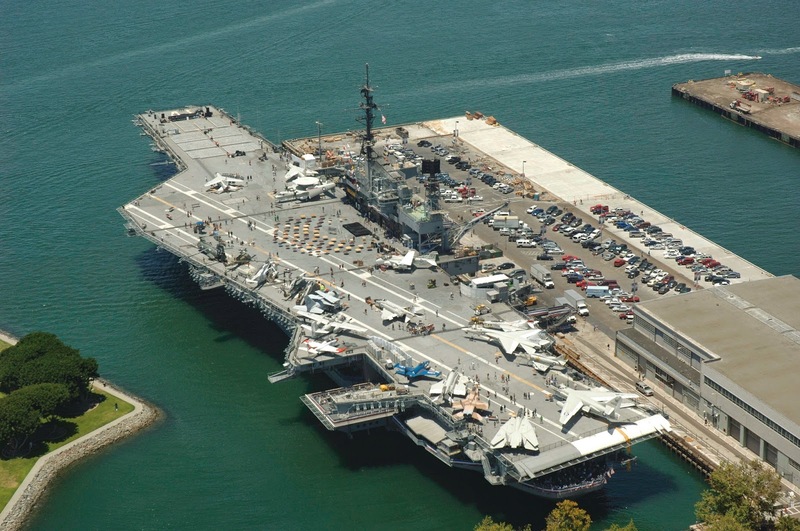 War buffs will love visiting the USS Midway Museum. The museum is actually the decommissioned USS Midway aircraft carrier. It includes over 60 individual exhibits and 25 restored aircraft onboard as well as a flight simulator! Take a self-guided audio tour and learn about the carrier’s history and its role in military exercises. What attractions or theme parks will you visit when you are in San Diego for our CME conference? Let us know in the comments below which spots you’re excited to see! It’s always fun to get away from the paperwork and emails from time to time and find something fun to do. It’s even better when that fun activity is free! While you’re in San Diego with us this week for our CME conference, be sure to give these fun, free activities a try during your spare time! Go to the beach! 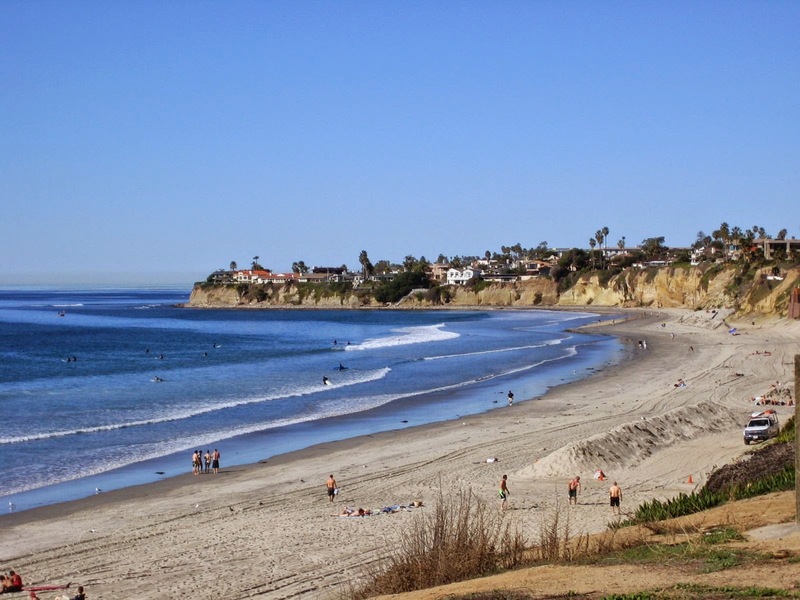 San Diego is home to over 70 miles of beautiful beaches, and all of those beaches are free and open to the public. Work on your tan, give body surfing a try or build a sandcastle with the family. Check out Balboa Park. The park is full of breathtaking Spanish Colonial Revival architecture, museums, park tours, gardens and organ concerts! Free admission to museums will vary by the week. Go to Old Town! Free guided tours will show you around the neighborhood’s beautiful adobe architecture. While you’re there, you might find events going on in the park like dancing, markets, music and more. Take your kids to the New Children’s Museum in the San Diego Marina where they can create art and expand their horizons. Admission is free every second Sunday, so your timing will be perfect! Grab a blanket and head over to Glorietta Bay Park for a picnic or just a relaxing afternoon flying a kite. 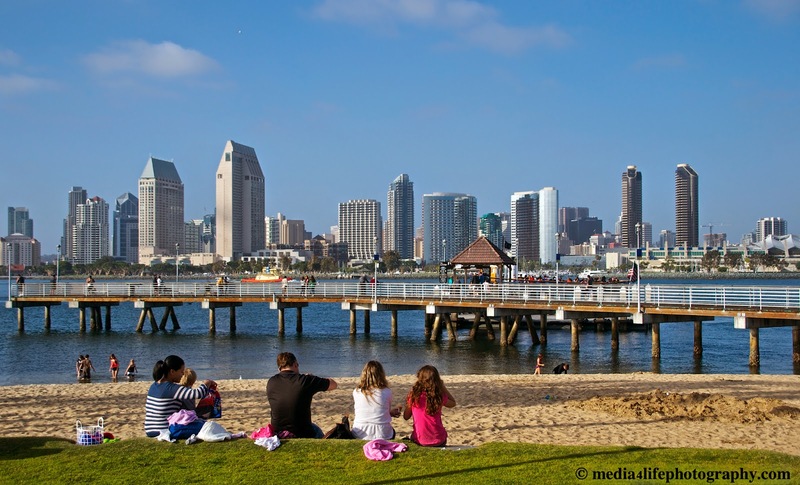 The park tends to be less full than other parks on Coronado Island, making it a favorite spot to relax. Catch some free entertainment at Seaport Village nearly every day! From musicians to dancers and all sorts of entertainers in between, you’ll find something diverse and fun to enjoy. Stone Brewing Company offers tours of their brewery for all those beer lovers out there. Tickets aren’t free, however, but at $3 per adult, they are certainly affordable and a portion of each ticket goes to local charities. Mission Trails offers plenty of hiking trails for the whole family where you can take in the gorgeous surroundings and wildlife. Spot the harbor seals at Children’s Pool in La Jolla. 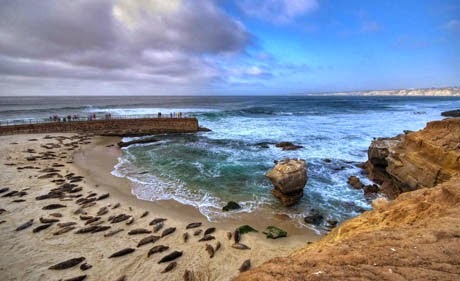 Hundreds of seals and sea lions warm themselves on the rocks every day, making for a fun experience for you and the family. Check out the Chula Vista Olympic Training Center if you’ve ever wondered what it takes to be an Olympian. You’ll get to take a guided tour of the grounds or a self-guided audio tour to see all the facility has to offer. There are certainly more ways to enjoy San Diego on a budget. Do you have a favorite activity we didn’t list? 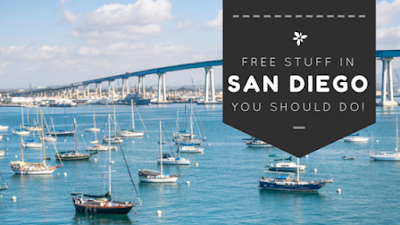 Sound off in the comments below and tell us about your favorite free things to do in San Diego! While you’re in San Diego joining us for our CME conference from April 9-12, you’re bound to want to go out and experience some great cuisine. Don’t just settle for a chain restaurant! Check out this list of some great, must-try restaurants in San Diego! 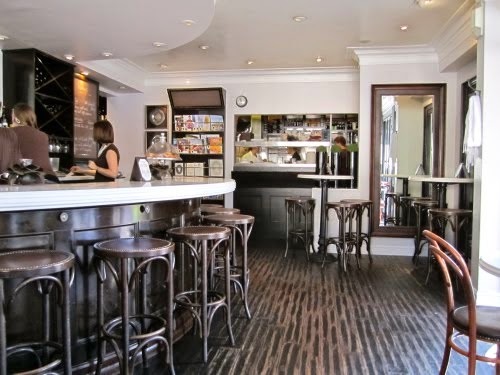 Café Chloe manages to convey an upscale, European feel without being trendy. Its cozy interior makes for a perfect intimate setting, and their brunch is unstoppable. Apple crepes with cinnamon hazelnut sauce? French ham and gruyere with eggs and mornay sauce? Mussels, Spanish chorizo and French fries? We’ll take one of each, please! Who doesn’t love a delicious meal that doesn’t burn a hole in your pocket? At Bread & Cie you can find a selection of delicious deli items with the freshest ingredients and unique pairings. In search of a quaint café for some breakfast? Try their amazing nectarine mascarpone French toast panini for just $8.50! For lunch, they carry all the deli sandwich staples plus some unique offerings like French tuna salad with walnuts, capers, basil and egg slices or curried chicken salad. The perfect, fresh, delicate pick-me-up before a day of CME seminars! Juniper & Ivy may be a little bit on the pricier side, but the things the chefs are doing with their food here are eye-popping. Want to expand your food horizons? Get a Baja yellowtail tostada in shark sauce. Ever had smoked butter? At Juniper & Ivy, you can top your made-from-scratch buttermilk biscuit with it. Plain old butter just won’t do after you’ve had a taste of this. You can even get a taste of razor clams with white Swiss chard and raspberries. It’s a palate overload! Who doesn’t love a little bit of comfort food? 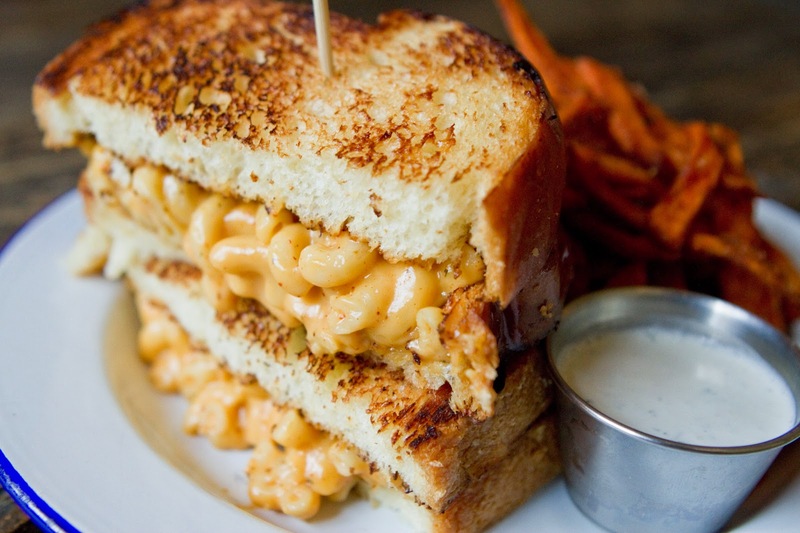 Macaroni and cheese is a favorite of many, but at Craft & Commerce, they’re blending it with grilled cheese sandwiches to create something simply mouthwatering. If cheese isn’t your thing, the restaurant is serving up their unique take of a variety of offerings like barbecue pork banh mi, a chicken sandwich with kale slaw and smoked salmon sandwiches. They also have plenty of delicious and refreshing cocktails on their dinner menu (you’ve got to try the Manzana Fizz with apple, cinnamon, and mescal). It’s been a late night out on the town and dinner didn’t suffice. Hop on over to Brian’s 24 for some breakfast food staples like Belgian waffles, breakfast sandwiches, eggs benedict, chicken and waffles and more. Want to get a little creative with it? Try their Cordon Bleu-style chicken strips, bacon waffle or PB&J cream cheese club. The last one may sound strange, but it’s amazing. Locals voted Brian’s 24 as one of the best spots for a diverse and vast late night menu, so you know it has the San Diego stamp of approval! You have to have a little bit of seafood being that close to the ocean, right? 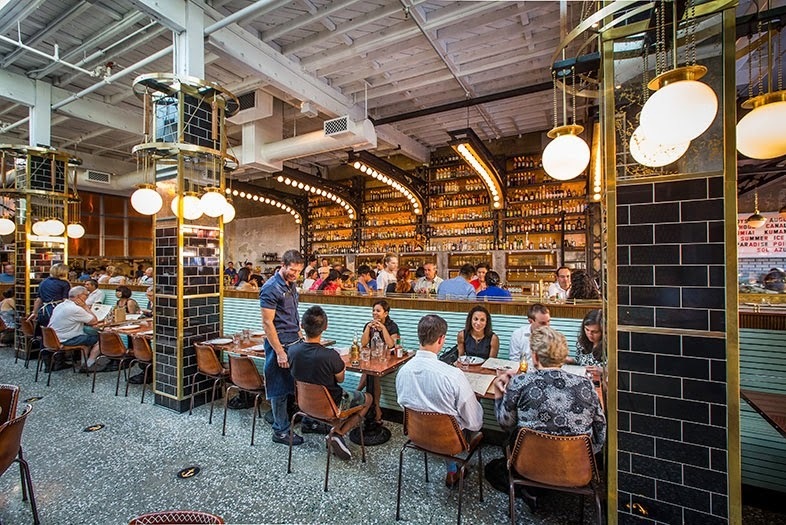 Head over to Ironside Fish & Oyster to get your fix. Their raw oyster bar features six different types of oysters! They have fresh daily catches that are changing all the time, and their rock fish ceviche is one of the best in town. You can even get a chilled Maine lobster! To top it all off, the restaurant features charming 1920s décor in an old metal supply building right near the waterside. We can’t leave food trucks out of the conversation. MIHO Gastrotruck is regularly rated as one of the best food trucks in San Diego by native San Diegans. The farm-to-street menu changes regularly and features delectable hors d’oeuvres, entrees, desserts, salads and more. Want an idea of some of the foods they offer? How about a grilled peach burger made with grass-fed beef or a mixed bean salad? They hop around San Diego regularly, so follow their social media feeds to find them! You’ve had a wonderful night out on the town and you’re looking for a nightcap. Consider Jsix and their amazing desserts. Ginger molasses cake served with pumpkin gelato, brandy, caramel and pumpkin seeds is standard here. So are chocolate peanut butter tarts and mascarpone semifreddo with orange segments and poached pears. We’re starting to drool! For a unique atmosphere, you have to try The Patio. The restaurant is laid out with a blend of indoor and outdoor seating. The ceiling has huge open sky lights to let natural light pour in, making you feel like you’re enjoying the comforts of a quaint indoor restaurant with the beautiful weather included. A fireplace is even included for those chillier nights. They have distinctive breakfast, brunch, lunch and dinner menus with fresh takes on old classics like ceviche, flatbread pizzas with beer and bleu cheese, pork shanks, shrimp & grits and more. It’ll be impossible to try all the foods and restaurants San Diego has to offer, but hopefully you can find some spare time between all of your networking and seminars to grab a bite to eat at one of these amazing establishments. What are your favorite eateries in San Diego? Sound off in the comments below and let us know! 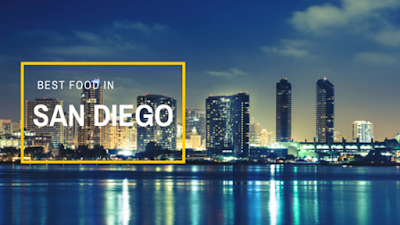 From April 9-12, we’ll be hosting our first San Diego CME conference of 2015! In the days leading up to the conference, we wanted to build out a comprehensive series of blogs that not only highlight the conference itself but the city of San Diego and its attractions. This first post details the conference and San Diego in general. As we address different topics relating to San Diego, we encourage you to come back to this blog to see updated information on each topic! Located on the beautiful San Diego Bayfront, the Manchester Grand Hyatt will host an array of CME courses and seminars on topics including but not limited to: aesthetic procedures, ICD-10 coding, suturing, sclerotherapy and dermatologic procedures. Aesthetic Procedures on 4/10 & 4/11 with Dr. Paul A. Fox will touch on subjects like lasers, facial peels, botox and cosmetic evaluation. Dermatologic Procedures on 4/10 and 4/11 with Dr. James W. McNabb will cover procedures like skin lesion biopsies, cryosurgery, electrosurgery, skin anesthesia and dermoscopy. Exercise Stress Testing on 4/9 and 4/10 with Dr. Grant Fowler will discuss coronary artery disease, the history of ET, protocols for ET, cardiopulmonary and ECG changes and much more. Hospitalist Procedures on 4/11 and 4/12 with Dr. Stuart Forman will go over procedures such as lumbar puncture, central line placement, arterial line placement, basics of surgical and advanced airways, intubations and more. ICD-10: Essentials for a Successful Transition to the New Code Set on 4/12 with Joan Gilhooly will cover in-depth the coming changes of the ICD-10 code set, how you can get your practice ready for the switch and why it’s important. Sclerotherapy on 4/12 with Dr. Jerry Ninia will review venous anatomy, valvular function, treatment of reflux in leg veins, setting up a practice and more. Basic Suturing on 4/11 and 4/12 with Gerald A. Amundsen II will discuss the anatomy of the skin, biopsies, billing, and developing suturing and knot tying skills for a variety of circumstances. X-ray Interpretation on 4/10 with Dr. Mark Needham will cover proper diagnostic analysis, abnormality identification and interpretation and much more. If you’re a medical professional that has never been to San Diego, our CME conference is a great chance to broaden your professional skills and networks while visiting a memorable city at the same time. Below are some fun facts and tidbits about San Diego. If you love superfoods, you’re in luck! San Diego produces more avocados than any other place in the United States. The Star of India, the oldest active sailing ship in the world, calls San Diego its home. It was built in 1863. If you’ve ever been to a drive-in restaurant, you’re experiencing a bit of San Diego history. The first drive-in restaurant, called Oscar’s, opened in San Diego. Its founder, Robert Oscar Peterson, later founded Jack In The Box. Beloved children’s author, Dr. Seuss, called San Diego home. DIY cure-all WD-40 was invented in San Diego by the Rocket Chemical Company in 1953. Grab your parasol and some sunblock! The city features 70 miles of accessible beaches. If you love architecture, this place is a must-see. San Diego County features the most missions in the state. 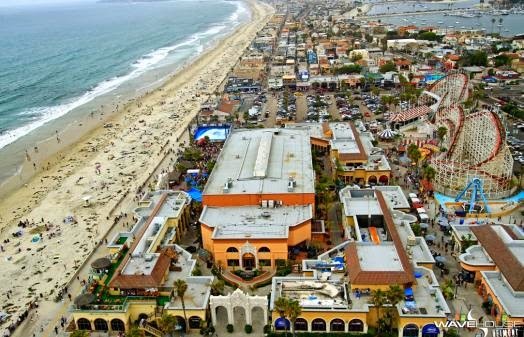 Tijuana, Mexico is just a short trip across the border, making San Diego a great vacation destination. La Jolla Playhouse has sent more theater productions to Broadway than any other city in the United States. San Diego’s average daily temperature sits at a very comfortable 70.5 degrees. The largest wooden structure in the States, Hotel Del Coronado, calls San Diego’s Coronado Island home and is over 125 years old. Need some recommendations on places to eat while you're in town? Go check out our companion blog on some of the top restaurants in San Diego! Be sure to check out our blog on free things to do in San Diego! Looking for a spot to take the kids while the family is in San Diego? Check out our blog on San Diego attractions. As far as the conference goes, we’re happy to offer a $200 discount for any registrant of two or more courses with our SDCA2 code used at checkout! Sign up today and let us know in the comments below which San Diego attractions you’re excited to see!